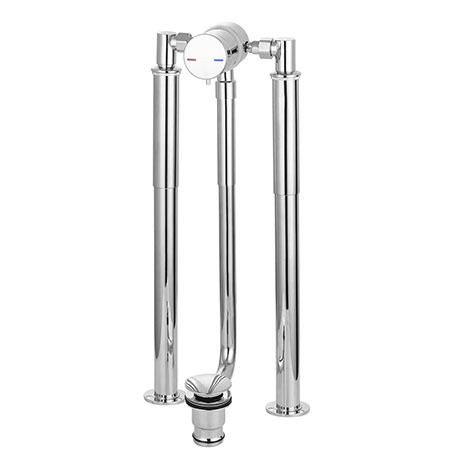 The stylish Cruze exposed chrome plated bath filler waste with freestanding legs is ideal for streamlining your bathroom. Features a waste, bath filler spout, overflow and shrouds; great for a clean and simplistic finish that gives your bath a contemporary feel. Supplied with a set of shrouds for concealing water supply pipes on your freestanding roll top bath. Myself and my husband never even knew you could get taps like this! Easy to use, easy to fit! Kids love it aswell as they can do there baths themselves. Would highly recommend this tap if you have a free standing bath. Lovely feature in any bathroom and a real talking point!